Our staff reflect on the work of six terrific Australian authors who have new books out this month. I’m dying to get my hands on Michelle De Kretser’s new novella, Springtime: A Ghost Story, because what I love the most about De Kretser’s writing is how utterly haunted it is – all of her stories are ghost stories. She has a way of writing characters and situations that are at once present and absent, so that what we’re left with in reading her work is a sense of overwhelming nostalgia, the longing of which finally gives way to a glorious freedom. If this sounds experiential and ethereal, it’s probably because of the gorgeous poetry of De Kretser’s style – her prose glides and trips and tumbles over the page in complex metaphors and elegant descriptions. In her Australian protagonists I found shadows of my favourite of Patrick White’s heroines, and saw the belonging and homelessness of so many experiences of Australianness reflected perfectly. I’ve been a fan of Alice Pung’s writing since her she first published Unpolished Gem in 2006, at the age of just 26. She burst onto the publishing scene with this quiet, unassuming childhood memoir that spoke to readers in unexpected ways and garnered her a devoted, well-deserved fan base. She has written of her family in two memoirs now, and both times, she captured them with astonishing honesty, clarity, humour and warmth. The themes humming underneath all of her writing (and often rising to the surface) are that of class, wealth, race and privilege. Pung never shies away from difficult or uncomfortable truths, and she has a remarkable ability to find drama and beauty in the everyday. The newly released Laurinda, a young adult novel, is Pung’s first work of fiction and I am delighted by its mere existence: an exclusive all-girls high school seems the absolutely perfect setting for Pung to show off her considerable talent. A little while ago I was in the company of one of Australia’s great independent booksellers and the name Patrick Holland came up, and the prospect of a new book from him in 2014, namely Navigatio. There was an unmistakable pause and stare-into-space as I could see her recall the memory of Holland’s wondrous second novel The Mary Smokes Boys (back in the day, when I reviewed it, I praised it for amongst other things ‘a language as pure and magical as I have read in a long time’). He’s actually one of the country’s most productive writers in some ways: a debut novel, Mary Smokes, a short-story collection, a travel book, and a thriller all under his belt since 2006! Yet he’s barely on the radar of the general reading public. Is that about to change? Michael McGirr describes the new book as ‘…the spirit under sail. A beautiful meditation on losing one way and finding another’. I can’t think of another writer who I would be more keen to go on that journey with. 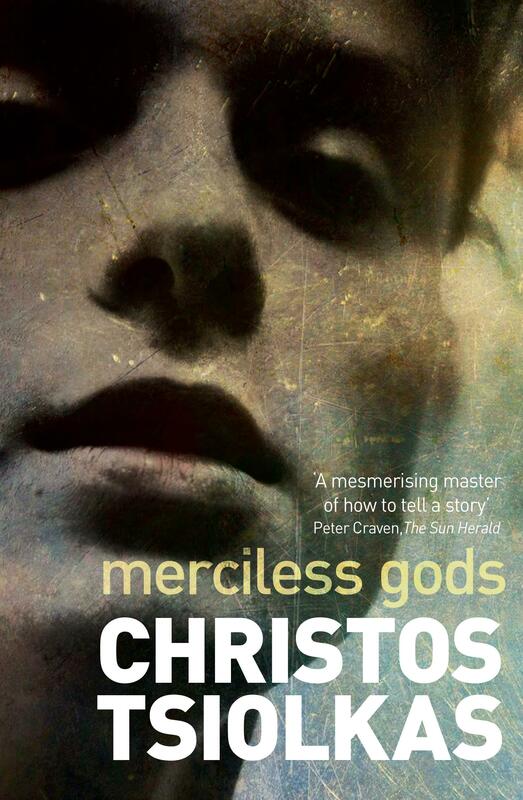 My love affair with Christos Tsiolkas’s writing began with his first book, Loaded, soon after I was blown away by the film adaptation, Head On, directed by Ana Kokkinos. Miraculously, I was thrust into the head of a young gay 19-year-old in suburban Melbourne who was torn between his traditional Greek family and his friends. I got a rush from the euphoria, the harshness and the discomfort. I was hooked. Tsiolkas’s ability to communicate the uncommunicable peaks in The Slap. Here he dissects the modern family and domestic life in middle class Australia in the 21st century with such insight and precision. No surprises it swept up nearly every literary award in Australia and made for an extremely popular TV series. He blasts a blowtorch on Australia’s glorification of sport, and what lies beneath all the medals, the cheers and the tears and explores how we deal with (or not deal with) failure, shame and humiliation in Barracuda. While talking about The Slap, Tsiolkas once remarked, ‘Discomfort is sometimes what is most precious to me about great art.’ I whole-heartedly agree. This is why I’m an enormous fan of Tsiolkas’s work. I first came across author, journalist and linguist Christine Kenneally when reading the contents page of a New Yorker at my letterbox one day in October 2009. I was mildly surprised to see an essay by an Australian and intrigued to see that the article itself was about recent events in Victoria. Kenneally’s essay on the Black Saturday bushfires, ‘The Inferno’, was utterly compelling – I began reading it on my way inside and did not sit down until I’d finished it. Her thoroughly researched approach to the topic was direct but not clinical – she neither shied away from the harrowing facts nor did she sensationalise them. Kenneally’s piece still holds up today as a considered analysis of selected moments of those wider catastrophic events, and of the questions that began to emerge in the aftermath. Since then, I have followed her in the Monthly and I’m now looking forward to reading her latest book, The Invisible History of the Human Race. I am always wary when I mention to others that J.M. Coetzee’s Disgrace might well be my favourite book. Novels are ideal subjects for testing the ground between us. Coetzee’s fiction, in consistently exploring the relationship between moral philosophy and literature, definitely serves a fascinating social function. Disgrace in particular tends to engender strong emotional responses from people. My colleague cried that the book made her so angry she threw it across a train carriage. The intensity of reactions to Coetzee’s writing stems from his insistence upon the reader’s engagement in a moral dilemma, and Disgrace opened my eyes to the power fiction can have in philosophical and political debate. Disgrace exposes us to human and animal affliction in ways that are designed to cause us to investigate our reactions, to ask ourselves whether we, like the protagonist David Lurie, are at risk of evading whatever pain or confusion Coetzee’s text induces, thereby shutting our eyes to intellectual and moral growth. All of Coetzee’s works challenge and unsettle readers in this way. His is writing that deserves to be celebrated for sparking such dynamic moral debate.